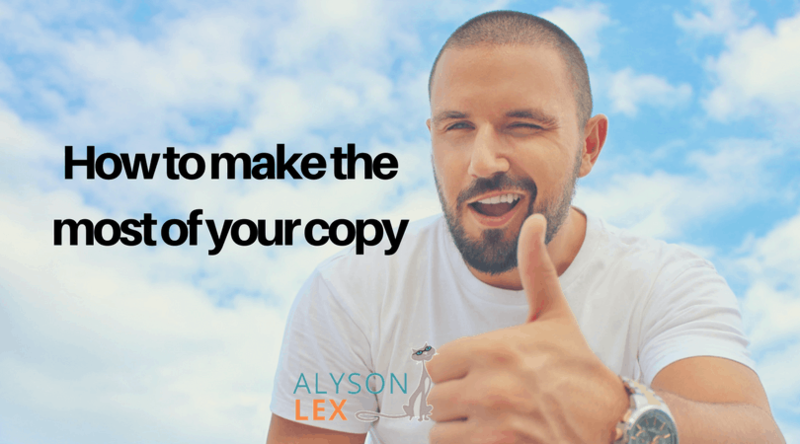 You know, I’ll be the first to tell you: having great copy can make or break a business. I am 100% for investing in a great copywriter who can bring your message and your products to the world. That investment will pay for itself time and time again, starting in the first month and lasting for years. But even the best copy won’t go as far as it should if you aren’t leveraging it correctly. Writing engaging, entertaining, converting copy is one of the first steps of a marketing campaign, but it can’t be your last. Successful copywriters leverage their copy in the right time and place to make the biggest impact possible. Two words with a ton of impact. Pay attention to comments left on blog posts, to what your customers are saying to customer support, and to social media conversations. Pay attention to everything your audience is saying to you, and notice what they aren’t saying as well. Look at how ads are performing and analyze the differences between your top and bottom performing pieces. Don’t stop at ads, though – check out your own blog posts, emails, and social media posts. What’s getting your audience involved, and what’s left without any interaction? Everyone knows you have to track your results from campaigns, but go further than just tracking stats: pay attention to headlines, traffic data, and anything a customer says to your team. If you listen, your audience tells you every day what they want to hear and what they don’t; what will make them open their wallets and what makes them completely tune you out. You just have to pay attention. No marketer worth her salt will ever publish one ad, one article, or one sales page, and then base all further efforts off of that one piece. Even the best buyer’s personas can be just off-track enough to completely not work at all, and most personas need a little bit of tweaking at least every now and then. While you’re figuring out exactly what your audience needs to hear, and where, and when, it’s important to test your material, showing this piece with that headline, this headline at that time, or this piece through that medium, again and again until you find the magic formula that just works. Even then, though, you have to be willing to change it because your audience will change, or their interests will change, or they simply will stop responding to an ad that previously rocked. Marketing is an ever-flowing art, and if you aren’t testing every single thing you produce, you could miss out on some real opportunity to increase your sales. Marketing at its core isn’t about the company anymore – it’s all about the consumer. Great marketers use their copy to give to their customers, whether that be information, entertainment, enlightenment, or any other kind of value. We often evaluate sales copy based on how well it converts, but the best marketers start that evaluation by asking how well the piece contributed to the betterment of their audiences’ lives. 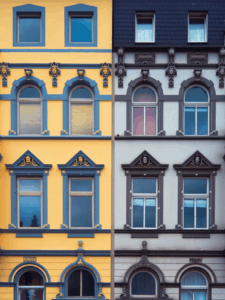 If you are consistently providing quality pieces rather than innumerable pieces of copy that only bombard the consumer, you’re on the right track. Great copywriters know that the only way to get copy read is to make it valuable to your audience; the copy has to provide enough to the customer that they’re willing to invest in your product in return. Being the first to give in this situation is the best way to ease your customer into giving back. These three methods are used by every spectacular copywriter, and can easily be used in your practice too. By paying attention to your audience, how they’re reacting to your ads and sales letters, and what they’re saying, you can respond more appropriately to their needs. 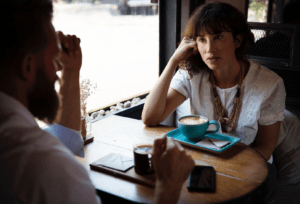 You can use what you’ve learned by listening to provide better value, and testing will only help you to nuance your copy even more to what the customer needs to hear. Networking is the best way to constantly bring in new ideas and share yours – getting your message to even more people.